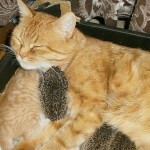 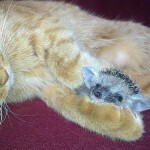 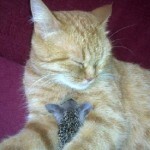 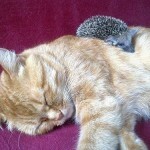 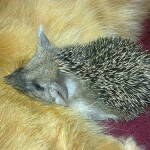 Have a look at this ordinary Russian cat Sonya, whose love and care rescued orphaned tiny and blind hedgehogs. 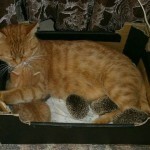 Unfortunately, the mother of baby hedgehogs died, and the cat named Sonya, a mother to her own kitten, has adopted four foster babies. 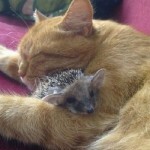 And thanks to the owner of this wonderful pet cat, who shared the photographs on social website, we can see how the word “kindness” look. 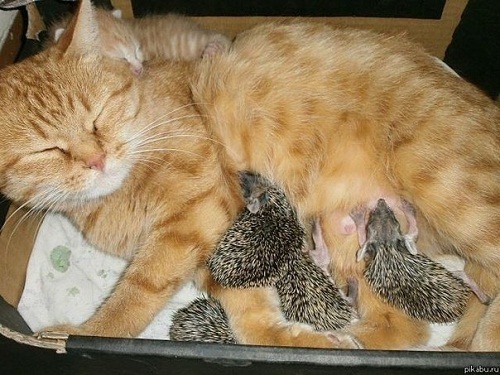 They say, Beauty will save the world. 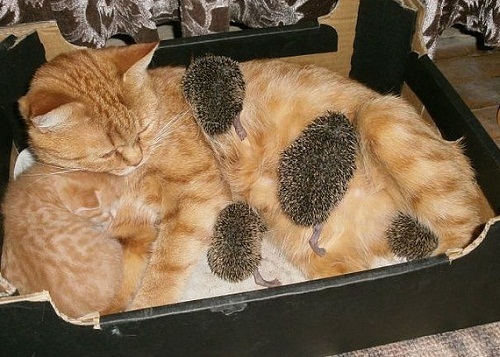 Indeed, and so will the cats. 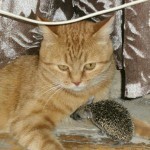 By the way, in Russian language, any animal – a cat, or a mouse is “he”, or “she”, but never “it”.